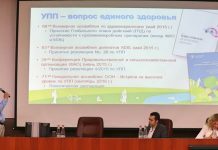 Viable strategies for boosting the export of agrifood products were the topic of an international workshop convened in Moscow yesterday by FAO. 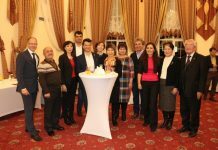 Titled “Agrifood export promotion strategies in post-Soviet countries,” the workshop brought together experts and Ministry representatives with experience in designing, implementing or analyzing export promotion policies and programmes in 12 post-Soviet countries. 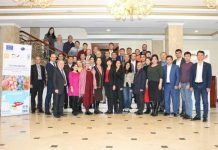 Participants came from Armenia, Azerbaijan, Belarus, Georgia, Moldova, Kazakhstan, Kyrgyzstan, the Russian Federation, Tajikistan, Turkmenistan, Ukraine and Uzbekistan. FAO trade economist Iryna Kobuta summarized the agrifood trade situation of many countries involved in the workshop. The combined value of agrifood exports of the 12 participating countries in 2016 was approximately US$ 40 billion, or around 3 percent of the global total. Russia was the largest exporter in this category with supplies to foreign markets exceeding US$ 17.2 billion, followed by Ukraine with US$ 12.7 billion, Belarus with US$ 4.2 billion, and Kazakhstan with US$ 2.2 billion. The volume of agrifood exports of other countries in the group totaled less than one billion US dollars. In recent years (2012-2016) agrifood exports from most of the post-Soviet countries have been in decline. Many of them are major importers, with the volume of imported products in most cases surpassing exports. Promotion policies that would benefit agriculture and the food industry are still in the process of taking shape, as many speakers at the workshop underscored. Others emphasized that the role of government in promoting exports lies in creating a positive environment, and establishing a conducive policy framework in close collaboration with the private sector. 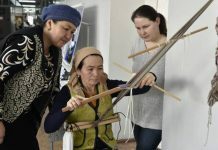 A number of countries in the region, such as Kyrgyzstan, Moldova and Russia, have made it a priority to identify lucrative products and markets. 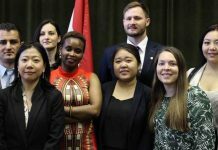 Other possible measures include forging international business relationships, or supporting exporter participation in trade fairs that burnish a country’s image and facilitate new trade connections. Greater attention to trade facilitation, in particular simplification of customs procedures and border crossing, is another key area for action. 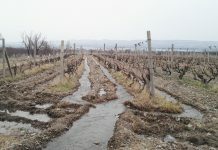 Despite the indisputable relevance of agrifood exports, “it is essential not to forget about sustainable development goals, as stipulated by the United Nations, in order not to push for agrifood export at all costs, and,ultimately not to deprive future generations of natural resources,” said Eugenia Serova, Director of FAO’s Liaison Office with Russian Federation. Workshop participants agreed on the need for continued dialogue on agrifood export promotion in the months to come.